I haven't tried the authentic Mishti Doi (a famous Bengali sweet) yet, so I don't know what it tastes like, but boy, this easier version just blows me away. It is super simple to make and completely and totally a joyful experience to consume. I first had this at a cousin's place. When I asked Aruna for the recipe, I was expecting a long list of ingredients and an even longer procedure, but when she told me it involves just 3 ingredients and a prep time of under 5 minutes, I couldn't believe my ears. 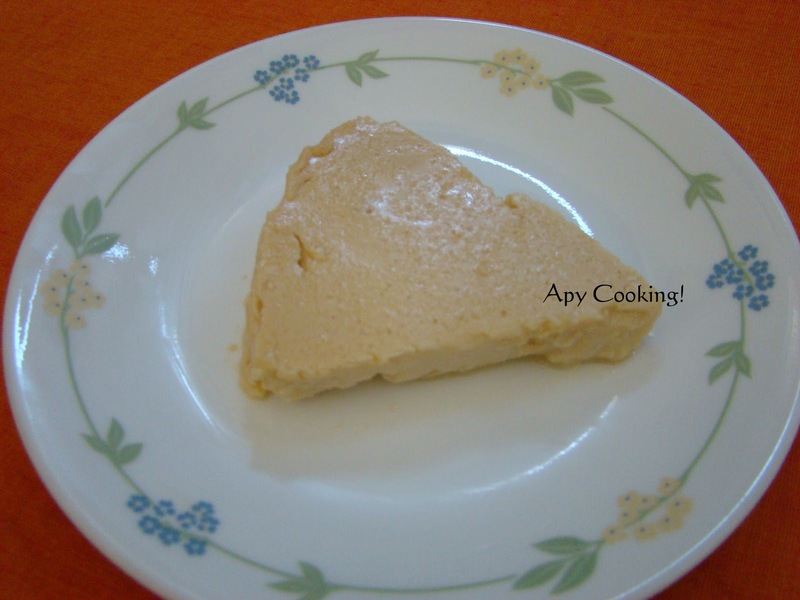 She got this recipe from a friend and does not know the original source, but whoever he/ she is, they sure did me a great favour by coming up with this creamy, super-easy, finger-licking yummo that has made me quite popular among my friends! In a fairly large bowl, pour all the ingredients and beat with an electric mixer till they get mixed well and froth forms on top. Transfer to an oven safe square dish (I generally use a 9" round cake pan). Bake for 40 minutes. (You need not check with a fork - this does not bake completely like a cake). Turn off the oven and leave the doi inside the oven for a few hours (overnight). Don't open the oven door during this time. You can lightly cover the doi with a foil. I would suggest you do this at night, just before you call it a day, because the lonely doi inside the oven can be very very tempting! Check my post on Bhapa Doi. 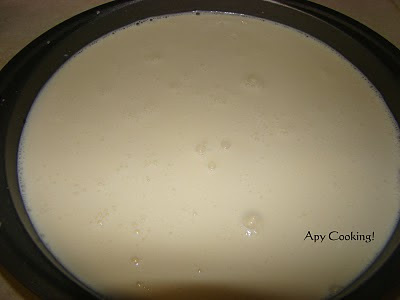 It is very similar to Mishti Doi, except that milk is used instead of evaporared milk and the dish is steamed in a pressure cooker. That does look terrific! Yum! looks really gorgeous and super easy ...it my hubby's fav ! 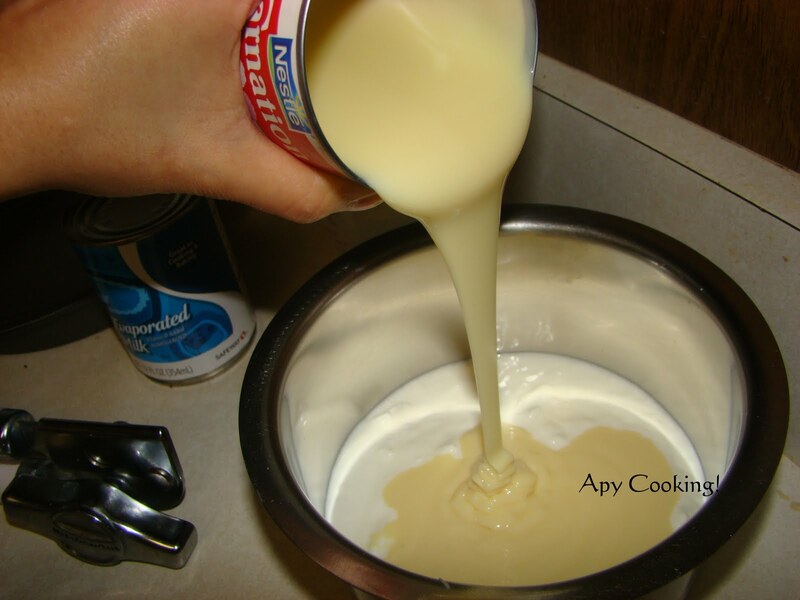 Mishti doi looks delicious.No additional sugar wonderful part of it. sounds easy with less ingredients! I have bookmarked. That's very easy dessert. Looks super good !! Wow! I dint know misti doi is so easy, I too never had this before. But looking at your recipe definitely tempts me to try. Thank you so much for linking this easy and delicious mishti doi with Any One Can Cook. This is such an unusual sweet. Thanks for sharing it with us. I will definitely try it. Creamy goodness!thanks for visiting my blog and leaving ur comment. This is new to me but it sounds devine. A delightful sweet treat..must try your version! yum yum ! i HAVE tasted the aunthetic Mishti Doi in Blore 8 yrs back and since then craving for it !The moment i read ur post my 2 cans of evap.milk and condensed milk lying in shelf from past 3 mnths already found its way on my countertop and are smiling at me !!! cant wait to try ..
your last line "the lonely doi lying inside oven can be v tempting " is very true for me and ur warning anyways will NOT stop me from dipping my finger atleast once :D hopefully whn its li'll cool !! 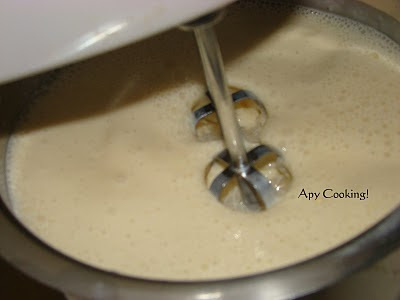 wow..looks damn simple and amazing..luv mishti doi but never made at home..have all the ingredients at home..shall try soon ! 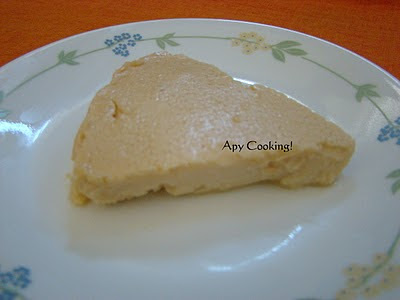 for many years i wanted to try Mishti Doi, thanks for the share, will try soonish! This is one of my favorites. And seeing them here does leave me tempting to grab some! I simply love mishti doi... your recipe sounds easy and simple to make. Very nice , indeed. Actually the misti doi is very different from what you have made. But do you know , you have made a very famous bengali sweet dish without knowing the name. It is close to the sweet dish called " Bhapa Doi" ..means " steamed Dahi". Of course the proportion of ingredients vary from place to place. I shall try yours. Let me try to fish out a misti doi recipe for you !!! Thanks for this lovely entry. When we prepare a simple, yummy dish and the others think that we have slaved for hours, it's somewhat exhilarating. Isn't it? hi aparna....akshatha here.... jus a doubt, can we use a microwave for it or does it need a oven itself? ?plz let me no.. this receipe looks very tempting!!! Hi Aparna, I first tried this recipe in Oct 2013, and since then this has become my signature item in every potluck / gathering. Thanks a bunch for sharing this. I made one change though. I upped the quanity of yogurt to 1.5 cups (because we thought this recipe as is a tad too sweet for our taste. Also I hang the yogurt in muslin cloth for about 5- mins (to make it hung yogurt). This way there is more of a doi flavor. Thanks for trying and I'm happy to know you have made it more often. Yes, it does tend to be sweet and adding more yogurt surely helps.